Every TransTalk 9040 handset has a built-in headset connection for true "hands-free" mobility and increased productivity. What Is The TransTalk 9040 System? Avaya's TransTalk 9040 System is the latest addition to Avaya's small mid solutions portfolio, and it delivers the benefits and accessibility of a wireless phone with all the power and functionality of a wired desk telephone. Avaya's TransTalk 9040 Solution intergrates fully with your customers PARTNER, PARTNER ACS, MERLIN, MERLIN LEGEND Communication System, MERLIN MAGIX Intergrated communicator and the Avaya IP600 Internet Protocol Communication System. Users have the same call-handling flexibility and control that they have with their desk telephones, combined with the mobility of a wireless system, and a price that is up to 38% less than an equivalent TransTalk 9031 System. The TransTalk 9040 "Pocket Phone" Handset and it's new Dual Radio Module (DRM) is a single-zone or dual-zone, in-building wireless system that provides a movility solution on most Avaya Communication Systems. The TransTalk 9040 system can support 18 handsets on a Partner system, up to 30 handsets on a MERLIN MAGIX system, and provides up to a 900' range from the DRM (depending on environment). An outdoor enclosure is also available, allowing the mounting of up to 2-DRM's outside the building from extended coverage. The (DRM) is basically a base unit for the 9040, and the more (DRM)'s the wider the coverage will be. What's New With The TransTalk 9040 System? A redesigned radio module (base station) that supports up to two TransTalk 9040 handsets. The new DRM eliminates the need for the Carrier Assembly units that were required on the TransTalk 9031 phones. The DRM's are now line powered, eliminating the need for a separate, local AC power supply. The DRM's can be self-standing or wall mounted on a standard mounting bracket. Each DRM supports up to 2 extensions(2 separate wire runs and station ports are repuired). Adding a second handset is simple-no additional radio module is needed. These improvements result in providing a lower cost of invetment for a mobility solution to you and your customers. No need to order a special ATL station card! The TransTalk 9040 phones can now connect to the MERLIN MAGIX system via TDL (4400) Station Ports! This equates to lower costs to you and your customers. The TransTalk 9040 DRM can also connect to existing ATL station ports if needed. The Trans Talk 9040 system supports ETR/ATL station connectivity (For all PARTNER and older MERLIN systems)as well. Simplifies servicing and reduces downtime! If a TransTalk 9040 handset ever needs to be replaced, only the handset is changed out! The associated radio module does not have to be replaced. The new handset is registered, over-the-air with the apropriate DRM module, and your customer is up and running instantly. 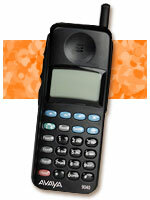 Any TransTalk 9040 handset may be registered on any DRM, Providing additional investment protection to your customers. Handset improvements include enhanced durability, and an enhanced user interface including improved display and user menus. Wireless phones allow calls to be handled using the same system features available on your customer's wired phones even when users are not sitting at their desks. These features include fixed and programmable feature buttons, multiple line appearances, hold, transfer, mute, conferencing, and storage and speed dialing of frequently called numbers. Every TransTalk 9040 handset has a built-in headset connection for true "hands-free" mobility and increased productivity. With the TransTalk 9040 System's 4-Line Display Copability, users can set priorities and handle calls more effectively helping to improve productivity and customer service. Caller ID and message waiting notification are redily available, so that employees will be accessible anytime, anywhere. Wireless solutions procide your customers with continuous communications within their busines. They offer premise-wide communications capabilities that help keep users connected wherever they go within office or between buildings in a campus environment. Employees can freely move between departments to solve problems and track down information while confrencing with callers, and still be reachable to customers, co-workers, and other important callers. Unlike cellular systems, Avaya's TransTalk 9040 System is linked to your customer's communications system, allowing users to make calls without the usage charges normally associated with the public cellular network. Calls placed using TransTalk are registered and reported as if they were a desktop phone. Wireless phones allow calls to be handled using the same system features available on your wired phones even when users are not sitting at their desks. These features include fixed and programmable feature buttons, multiple line appearances, hold, transfer, mute, conferencing, and storage and speed dialing of frequently called numbers. Every TransTalk 9040 handset has a built in headset connection for true "hands free" mobility and increased productivity. With the TransTalk 9040 system's 4-Line display capability, users can set priorities and handle calls more effectively helping to improve productivity and customer service. Caller ID and message waiting notification are readily available. Wireless solutions provide continuous communications within businesses. They offer premise-wide communications capabilities that help keep users connected wherever they go within office or between buildings in a campus environment. Employees can move freely between departments to solve problems and track down information while conferencing with callers, and still be reachable to customers, co-workers, and other important callers. Wireless phones allow doctors and nurses to use their time more efficiently, freeing them to spend more time with their patients, while still remaining accessible to their staff. Emergency room nurses, for example, can obtain immediate answers to critical questions without leaving patient's side at a time where every minute counts. For office personnel, wireless phones and optional headsets make it easier to perform multiple functions, like filing reports or checking billing records, helping to ensure that all calls are answered. Sales people obtain immediate answers to questions without ever leaving their customer's side, creating a responsive environment for closing sales. Wireless phones offer these employees a means to maintain constant contact with customers while locating stock or checking backorders. Increased access means increased responsiveness to customers along with the increased potential of making a sale. Stockroom personnel can perform multiple tasks - like stocking shelves or taking inventory - and still be available to meet customer requests. Store managers can help improve their efficiency with wireless phones, allowing them to serve customers, manage employees, and still be accessible for important customer and administrative calls. TransTalk 9040 system is a perfect solution for store security, providing them full mobility within the store. In the automotive industry, sales people can be reached immediately, even while they are walking the lots or working the showroom floor. The parts manager can remain in contact with the customers while checking warehouse inventory levels. The service manager can keep in communication with their customers as they check on the status of their car. In a multi-building environment, wireless phones can eliminate the need for expensive, underground cabling; yet still provide communications at other buildings. The TransTalk 9040 can be used in these other industries as well: Financial Institutions and Brokerages, Manufacturing, Customer Care, Lodging, and Schools, to name a few. These wireless capabilities hold enormous possibilities for all types of organizations. 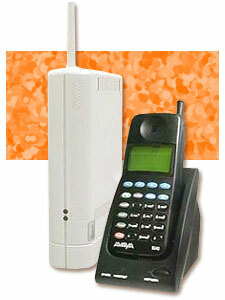 Wireless phones help increase productivity and efficiency and improve responsiveness. Using TransTalk 9040 and TransTalk 9031 Systems in the Same Environment Because the TransTalk 9040 system uses a completely new timing chip set, and does not use a Carrier Assembly, you CAN NOT mix TransTalk 9040 systems in the same environment as existing TransTalk 9031 systems. TransTalk 9040 User Documentation: The "TransTalk 9040- Instalation And Use Guide" (in paper format) will be included with each Dual Radio Module. A "Quick Reference Guide" (in paper format) will be included with each Transtalk 9040 Handset.